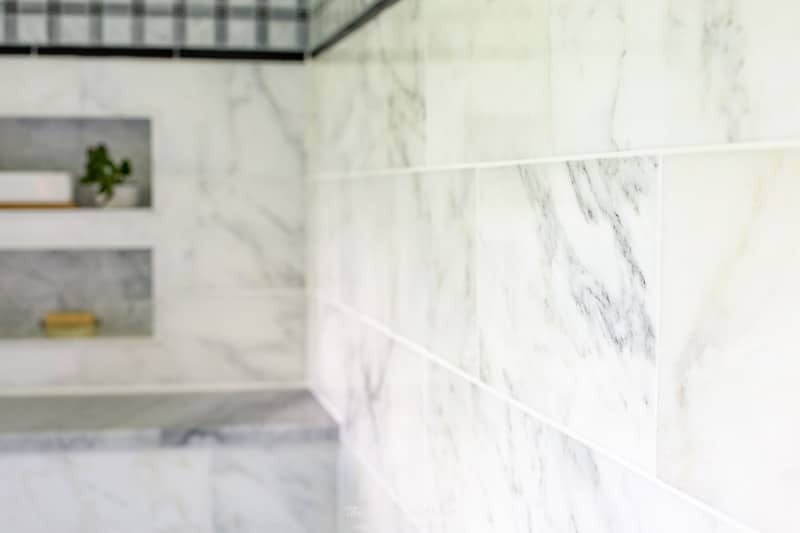 Considering a frameless glass shower enclosure? 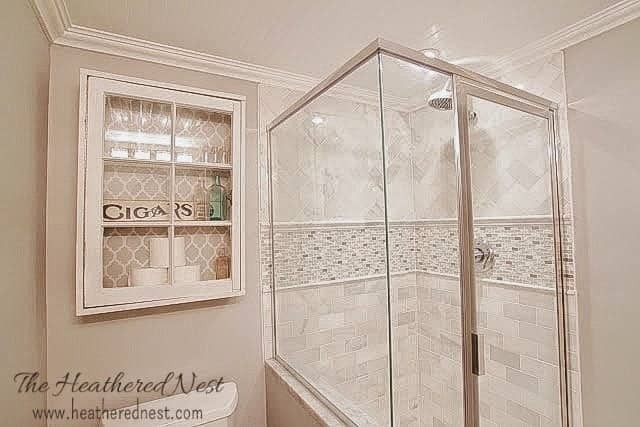 A frameless glass shower enclosure. If you’d have told me how much one could love a shower 6 months ago, I’d have given you an eye roll impressive enough to match the facial gymnastics of Jim Carrey or Steve Martin-esque. But it’s true. 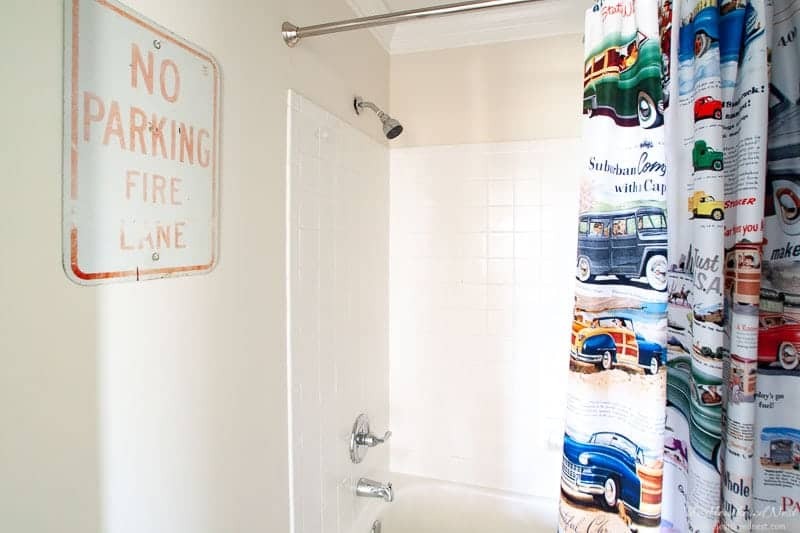 I ADORE our new walk-in shower. 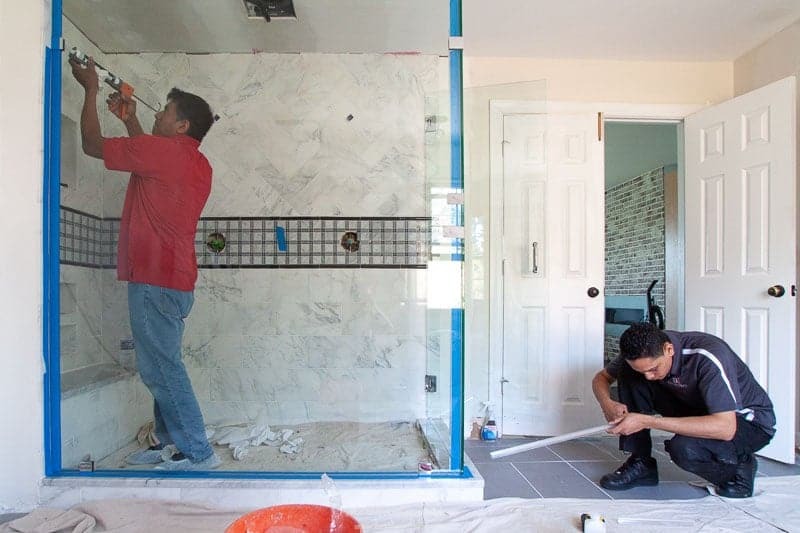 Our new frameless glass shower enclosure was fabricated and installed by Dulles Glass, a locally owned and operated company here in the DC metropolitan region. 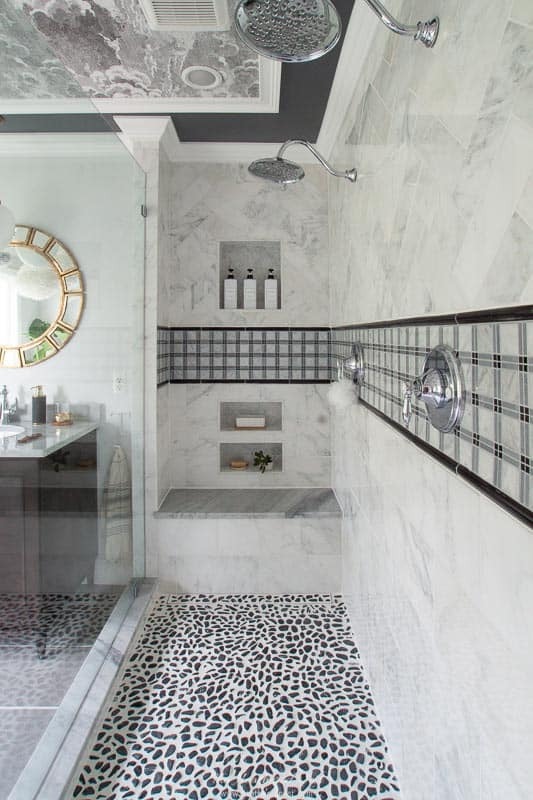 Nancy from Dulles Glass reached out to me years ago about working together, but at that point, this master bathroom renovation wasn’t even a twinkle in our eyes. 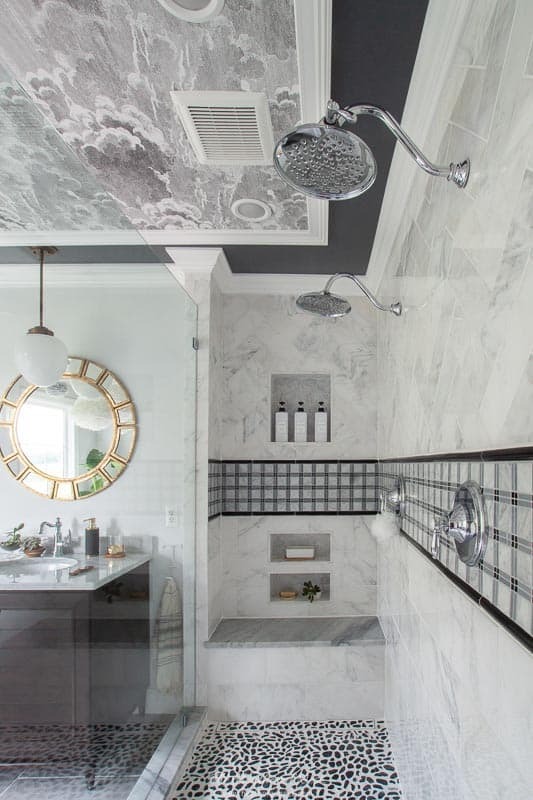 We kept in touch, and when I emailed her out of the blue last fall to tell her we were tackling the bathroom finally, her and her team at Dulles Glass jumped in, and were amazing to work with. 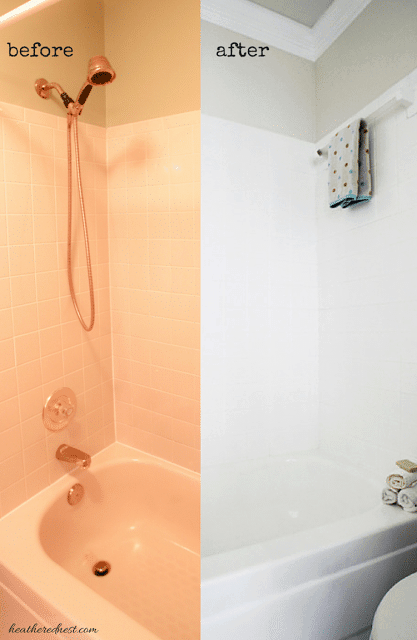 It was a “glass half empty” kind of shower. Hell, it wasn’t even real glass. It was a flimsy plexiglass (maybe? I’m not really sure) door in a brassy, 1990’s-esque frame, sitting on a pre-fab almond shower pan. Don’t get me wrong…the space itself was great! It was the biggest bathroom we’d ever had. The footprint was huge. 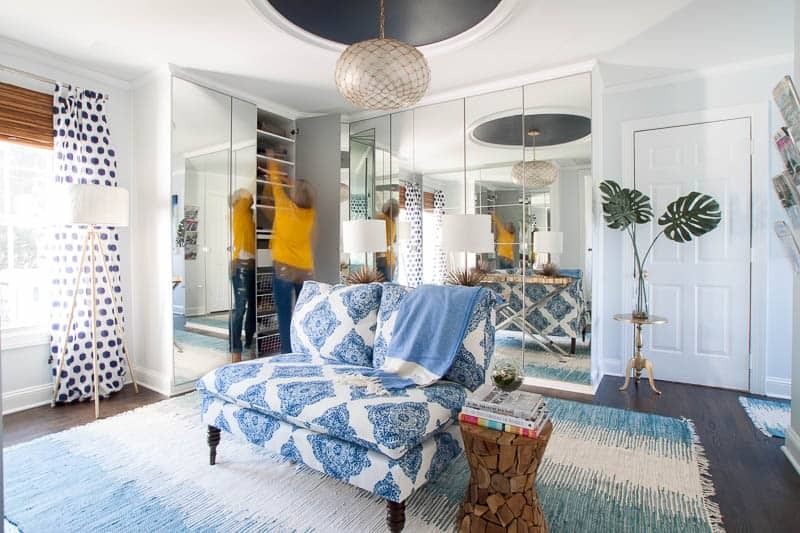 And we made it even bigger when we stole the square footage from the master closet, which used to sit next to the bathroom. 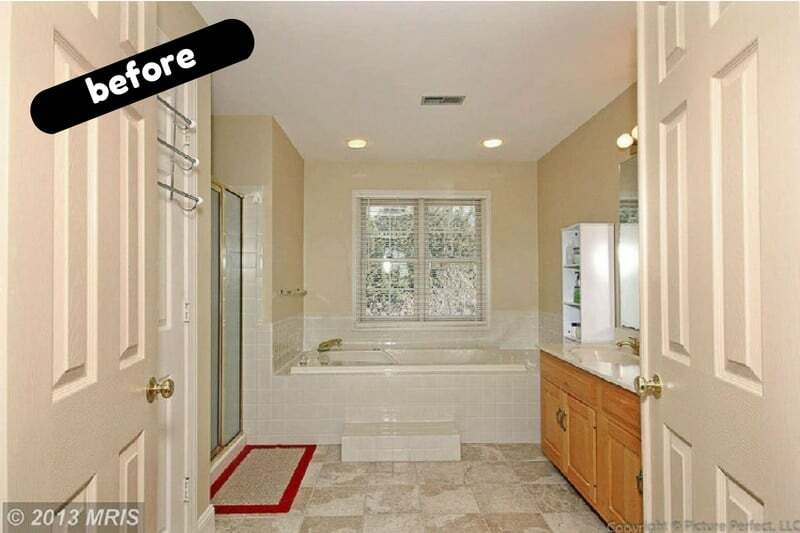 We added all that square footage back into what has now become our remodeled master bathroom. And what used to be an odd no-mans-land room attached to our master bedroom then became what now is our amazing DIY closet that I’m still very smitten with. Again, it was terrific as far as space went. I had no issues with this closet at all, but when the opportunity presented itself for a closet befitting of a Real Housewives set? Heck ya I took that opportunity and raaaaan. 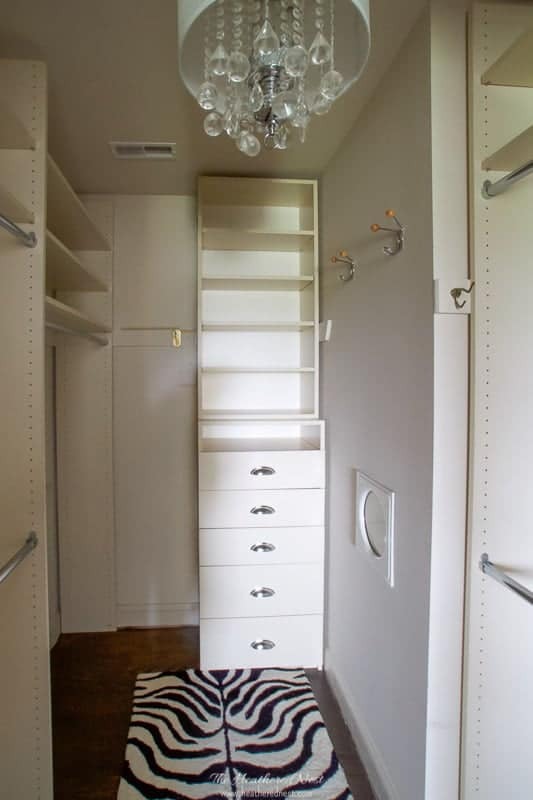 And the results are below…our new walk-in master closet. 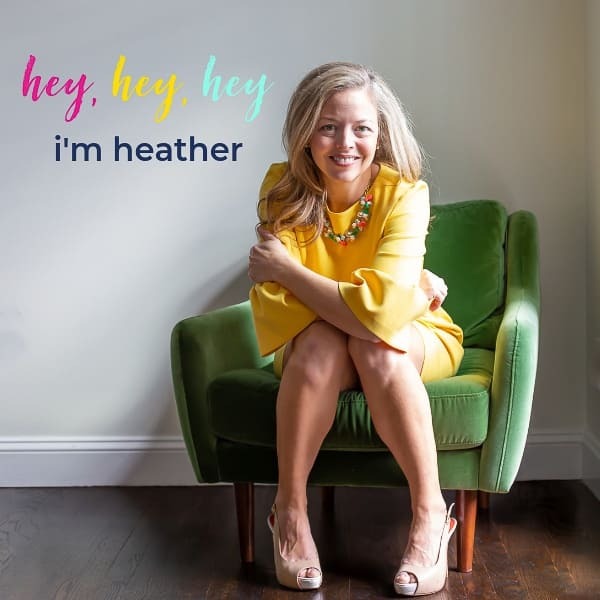 Click here for the whole closet reveal! 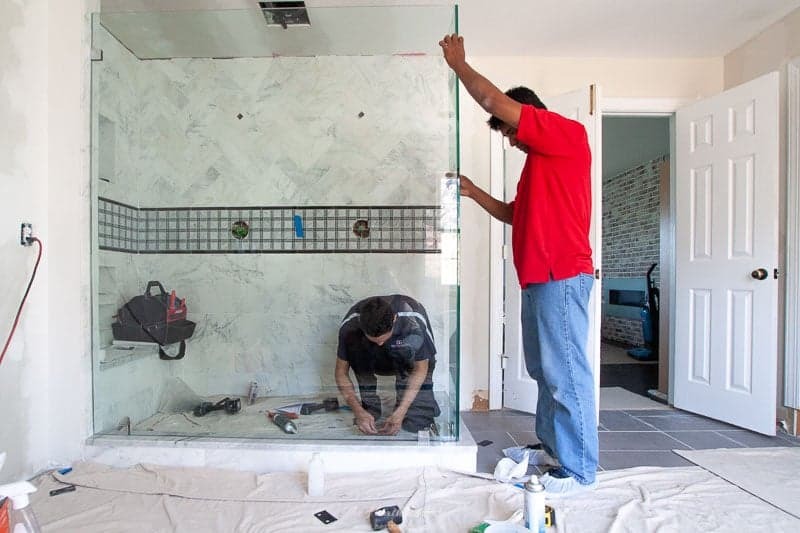 After months and months of old bathroom demolition, re-routing plumbing and electrical, installing new drywall, new windows, etc…ALL DIY mind you…we were finally thrilled to order the glass for our new walk in shower enclosure. We got a quote from Dulles Glass online, which was very simple to do. Once we entered a couple measurements, and considered and decided upon a few options, the site immediately gave us a quote. We re-ran the numbers with different options to look at what the bottom line would be in a couple different scenarios. Then, Martin from Dulles Glass called us and walked us through the questions we had. He was super friendly and responsive when we called back with additional questions. We scheduled a measurement. And then ordered the glass. I think it only took about a week maybe from measurement to installation. 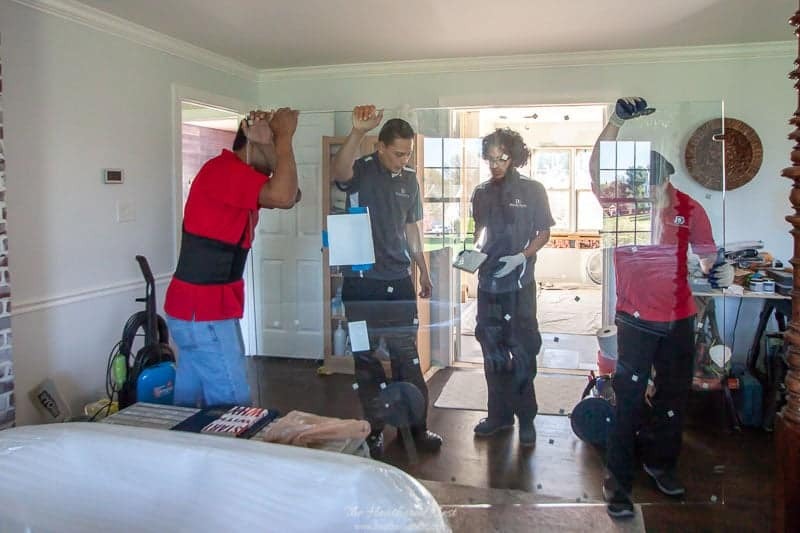 Here is the Dulles Glass crew hauling the huge piece of glass through the house. The team had to carry this thing up a set of stairs (with a turn in it, mind you). They are standing in our bedroom in the pic above. Notice the tub that is also sitting in there? 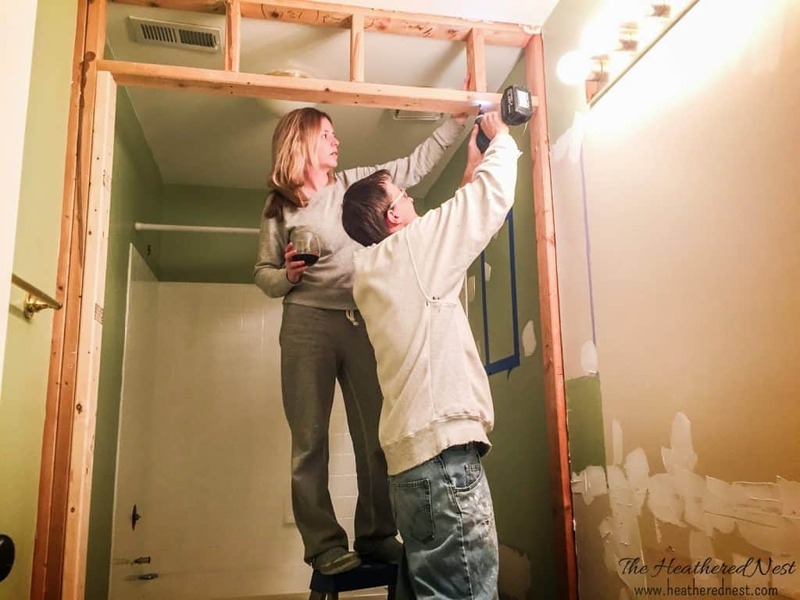 YES, our bedroom was a complete disaster while this bathroom project was happening. And the glass was now into the new space! 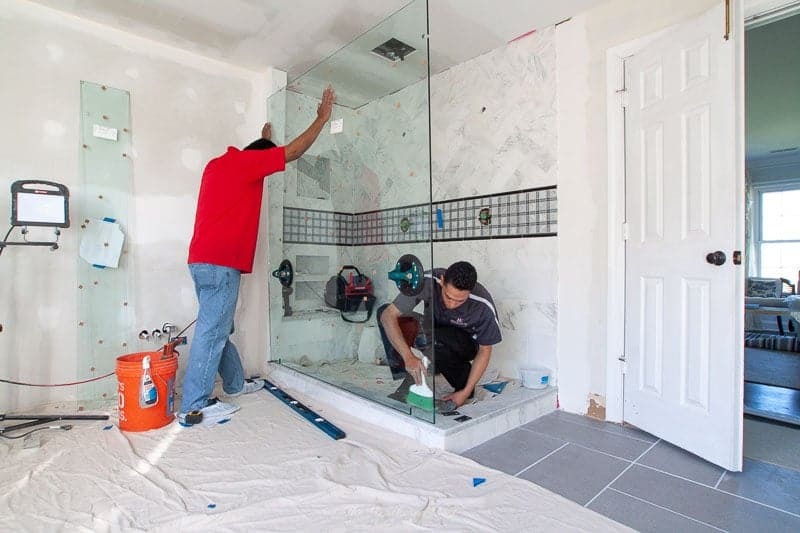 While one technician made sure the large piece of glass stayed upright, the other started attaching the glass with the small brackets used for the frameless glass surround. If you look at the picture above, you can see one of the small chrome clips at the base of the piece of glass. They are very small and understated. Up goes the second side of glass. 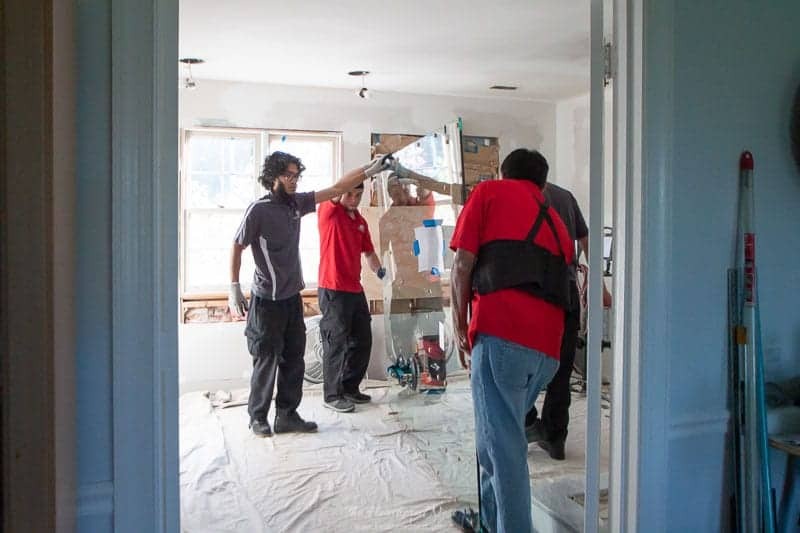 The door will be where the gentleman in the red shirt is standing above. 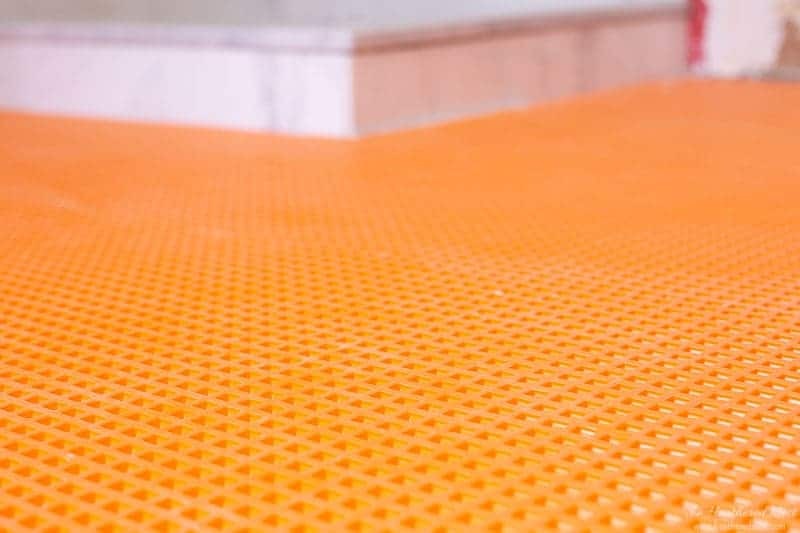 The seam between the glass and tile is sealed with clear silicone. 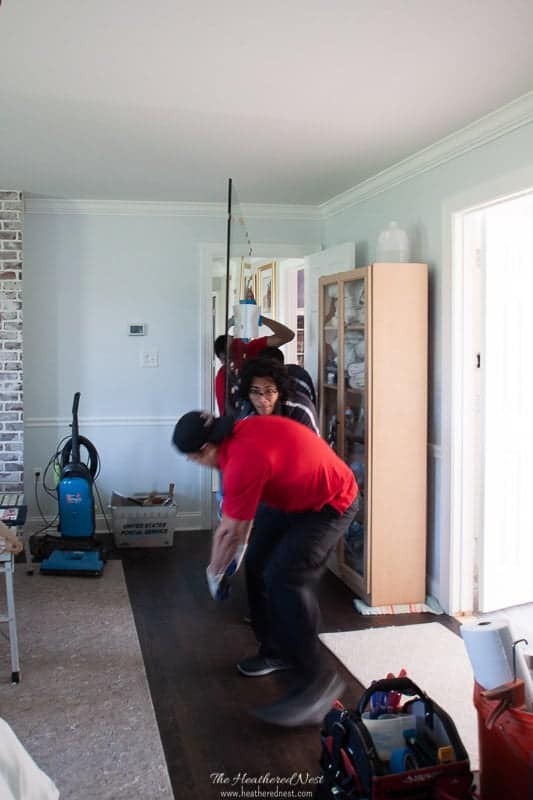 The other technician (black shirt) is installing a piece of threshold on the bottom of our door, to help ensure water stays inside the enclosure. In about 2 hours TOTAL, the glass was installed. 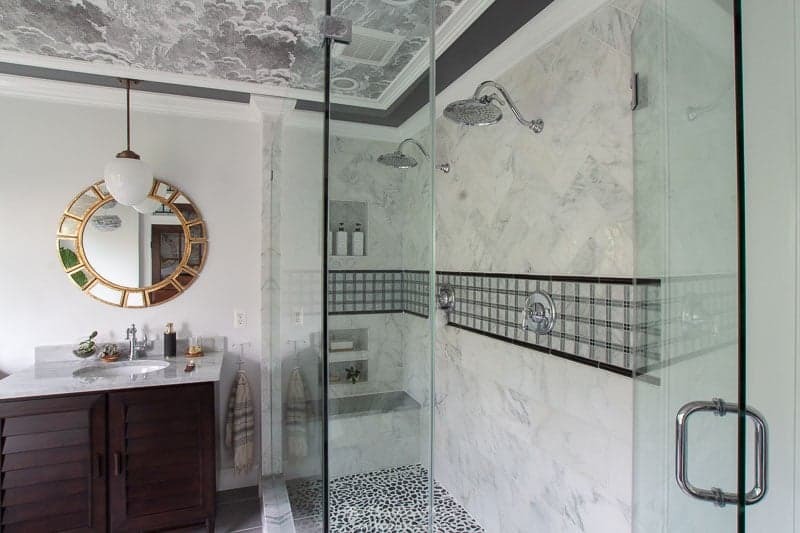 And a gorgeous frameless glass enclosure. All thanks to the handiwork of Dulles Glass. And at this point, I’d say our glass is now DEFINITELY half-full. 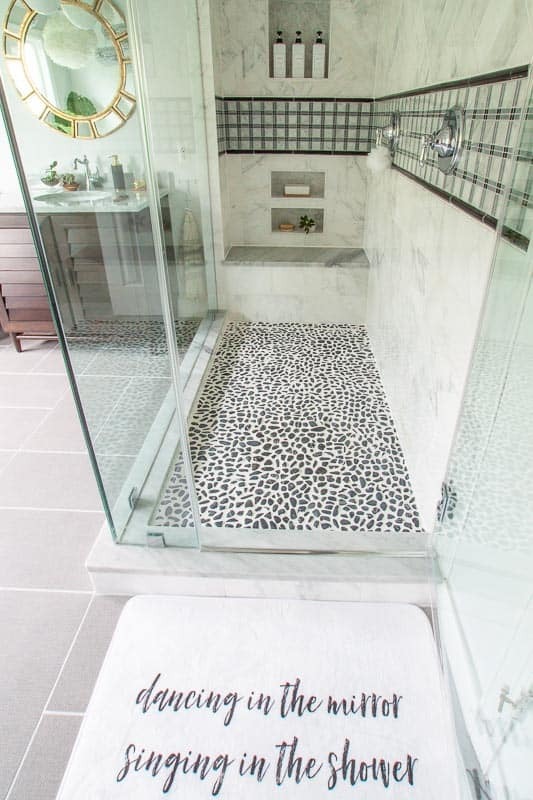 We couldn’t be happier with how this walk-in shower with the frameless glass turned out. 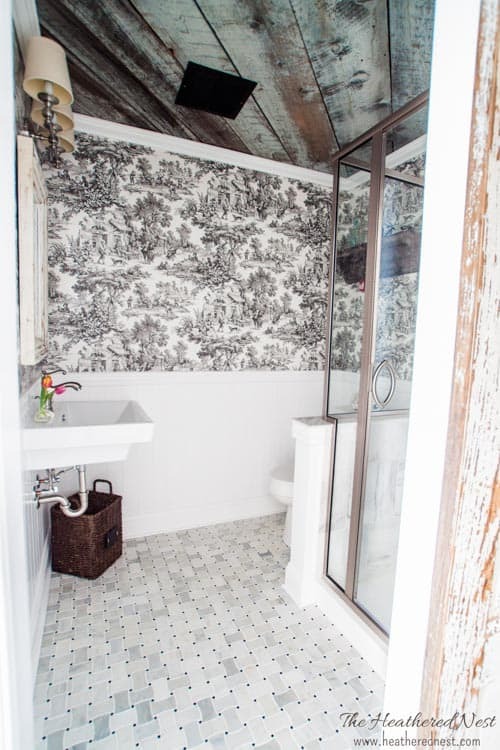 Stay tuned for more of the new master bathroom reveal!! Can’t wait to show you the rest of the space ❤. 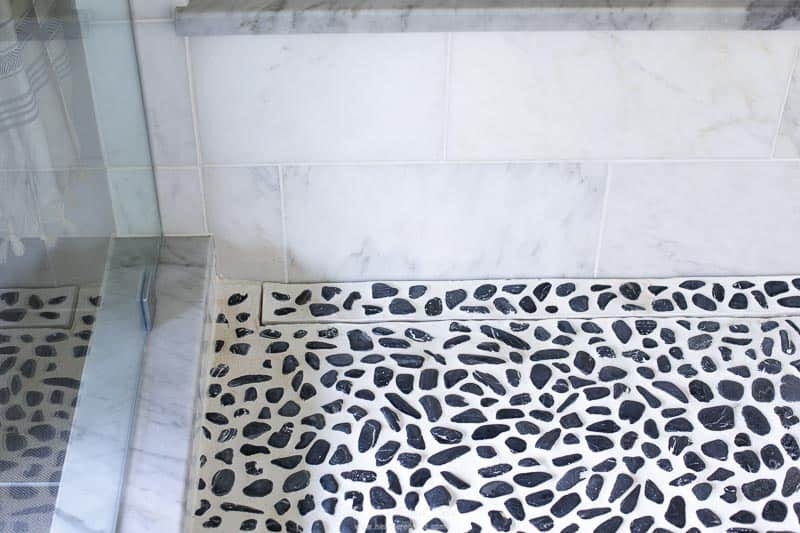 Would You Buy Tiles Online? We did. Our Review. 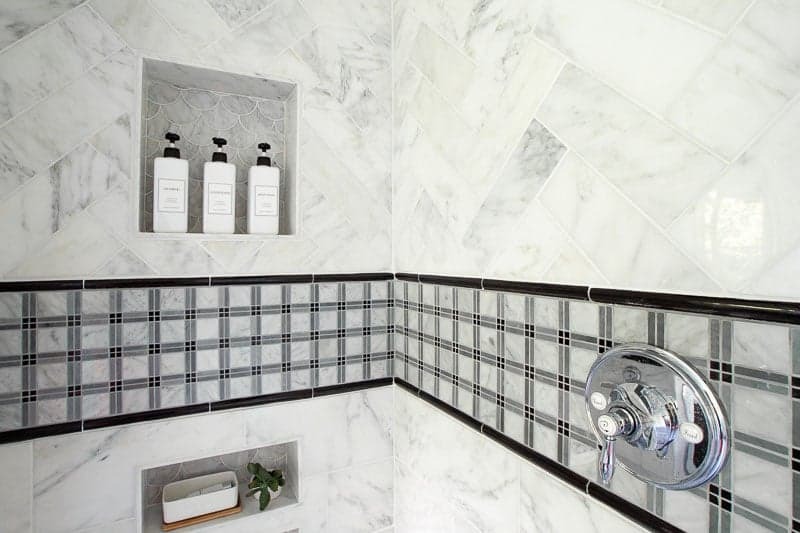 Do-Over in the Dungeon (Our marble bathroom DIY story & reveal). 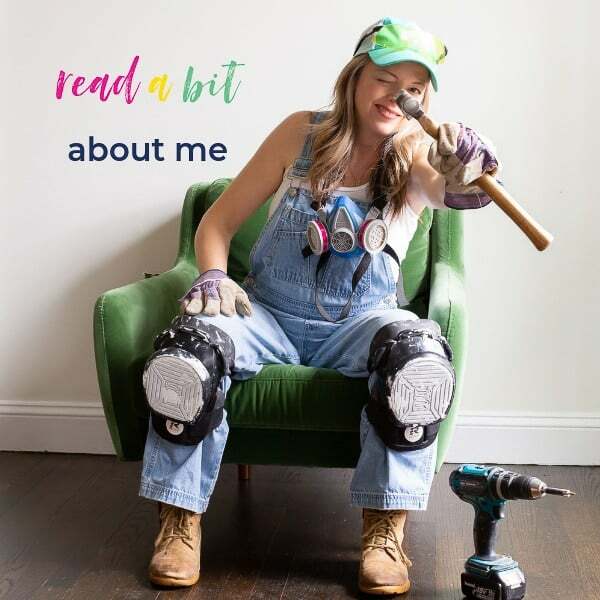 Mission Demolition – DIY Bathroom Project Continued. 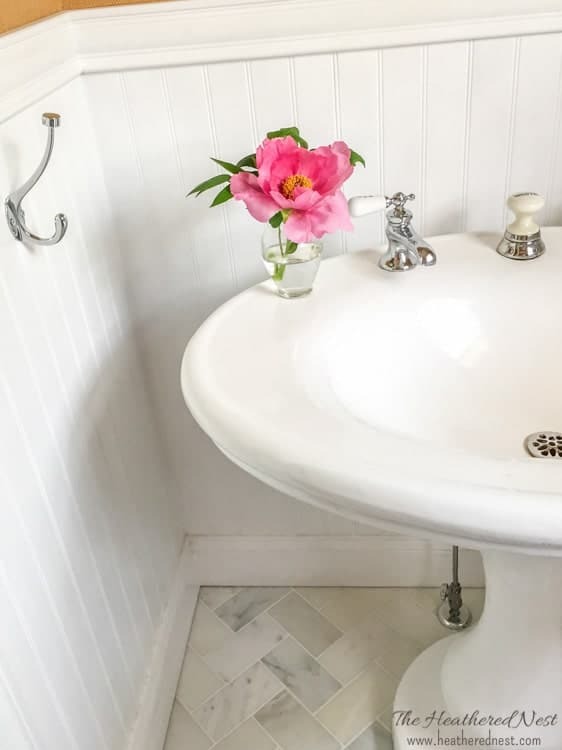 A DIY powder room design. AKA “And We’ll Never be Royals”. « A Spa at Home? Yes, Please. 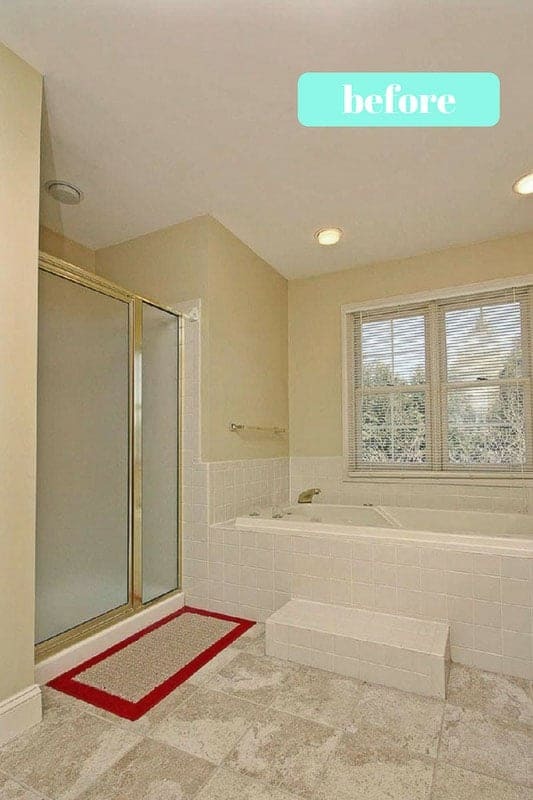 In the picture where you show the shower clips, is that the drain in the back that runs along the bench area? Also what is on the ceiling, wall paper? It is georgous.